I’ve long been interested in foreign exchange and cross-border payments. Several years ago, a partner and I undertook a series of interviews with lawyers, bankers, small businesses, startups, and individuals with the intention of identifying an opportunity for innovation. 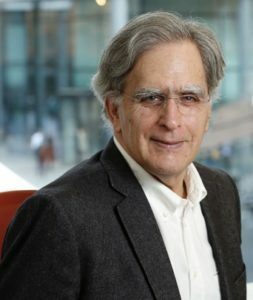 One of the people we meet with was Mike Laven, CEO of Currencycloud (then Currency Cloud). We concluded that the B2B money transfer market is a big opportunity. (It’s been called “one of the last great ripoffs in finance.”) We saw that paying vendors in other countries and in other currencies was complicated, couldn’t be accomplished online or in a business banking app, and often involved a trip to the branch. Payments were difficult if not impossible to track and sometimes didn’t show up in the right place or in the correct amount. Even sophisticated business people did not understand how much they were paying to make these transfers and how much they were losing when they converted currencies. The challenge would be reaching these businesses cost effectively and convincing them to adopt a new solution to a problem they only had occasionally when many were unaware of the actual costs. In the end, we concluded that the most attractive business model in this space was Currencycloud’s. Serving banks, businesses, and remittance startups and letting those clients focus on the cash-intensive tasks of building brands and attracting users seems the smarter way to go. Currencycloud removes friction from the process of currency conversion and money transmission by simplifying the underlying global payments infrastructure, reducing costs, and increasing transparency. The company provides building blocks for firms that intend to build cross-border products and applications. Developers use its APIs and SDKs to embed payment infrastructure into their own products or services. It also offers a white label, out-of-the-box solution that can carry the client’s brand. Founded in 2012 and headquartered in London, Currencycloud employs close to 150 people worldwide. It has more than 250 customers in 35 countries, including Azimo, Docomo, the Gates Foundation, Hyundai, Klarna, Revolut, Standard Bank, and Travelex. Clients can make domestic and international payments in 35 currencies to 212 countries and pay a percentage of the payments they make with Currencycloud (it declines with volume). It’s a substantially lower rate than banks charge. Currencycloud has raised more than $60MM. Investors include Accomplice, Anthemis, GV, Sapphire Ventures, Notion, and XAnge. Mike has been CEO of Currencycloud from the beginning. Q. Mike, are we witnessing the consumerization of B2B payments? A. Automation often starts with the consumer and then migrates to the business. You’re starting to see right now the consumerization of B2B, but it’s taken some time. Consumer payments, on a global basis, have witnessed a lot of automation. B2B payments are different. Businesses have different requirements. Their payments have different kinds of workflows. They can be payables or receivables or payroll or inventory management. They can come from different places inside the business and that means they could have different data requirements. They also often have different timing requirements — some businesses do payments once a week, others daily or quarterly. Q. What is your target market? Is it remittance startups? SMEs? Big players looking to outsource? A. We have four categories of clients. More important in Europe than in the U.S. (but not unimportant in the U.S.), is prepaid cards, debit cards, and financial institutions. Europe has seen massive growth in the prepaid or debit industry — that’s Revolut, challenger banks, and startup banks. Another category is payment service providers such as Klarna and Stripe, people who are providing, effectively, merchant services but who also have needs other than collecting money from the consumer over the card network. The third category is more traditional F/X brokers, usually small and focused on one particular market segment. For instance, we have a client who provides services to antiquarian book sellers. Antiquarian book sellers have global businesses. If you’re buying a first edition of Shakespeare, you don’t know where it’s going to come from. An individual book seller may not have a large business but taken together it’s reasonably large and they need someone who understands their industry. There are a lot of small SMB services businesses — we have clients who provide services to fisherman and farmers. I would put the remittance companies in there, as well. The last category is global marketplaces where you have a one-to-many relationship. In the UK we have Blacklane (for finding black limos and professional chauffeurs) for instance. Q. How fast is Currencycloud growing? What kind of volumes are you currently seeing? A. Unfortunately for us, we’ve been denominating things in dollars so we haven’t been making as much progress since January as we’d hoped. The dollar’s gone up against the pound by about 5 % – 7 %. The largest month we’ve had in dollars is $1 billion. On an ongoing basis, even with the dollar rising we’re running between at $800 million and $1 billion. And that number increases by about 50% on an annual basis. The most transactions we’ve processed in a month is 350,000. The number of transactions we process increases much faster than the value of those transactions which means that the value of the average transaction that we’re processing keeps declining. At some point that will cease, but we’re getting more and more clients who are processing larger amounts of low-value transactions — those are the ones that are usually most in need of automation. Q. What are your thoughts on open banking (banks providing access to closely held customer account data) and its implications? A. It’s only just started, but there are a lot of interesting things that will happen in the payment world with open banking. They may not necessarily come from Fintech. If Amazon can access your account, then all Prime customers in the UK, for example, can make payments to Amazon directly from their bank accounts. It would create a lot of efficiency for their clients and create a route around whatever fees they pay to each card network. The most interesting deal that we’ve seen is the deal the European airlines did with Deutsche Bank to circumvent the card networks. Deutsche Bank did a deal with a consortium of airlines where Deutsche Bank will provide access to customers’ accounts at every bank, and the banks will then offer the ability to pay the airlines, avoiding the card companies. The impact will be massive but it’s early days to say where it’s going to go. Q. What has been the impact of Brexit on your business thus far? Is the prospect hurting your ability to attract the best talent? A. The talent component of Brexit is the major concern. I’m on a series of panels and a number of advisory boards to address this. At a societal level in the UK it’s not that people have left but you’re getting a drop-off in the number of people who are coming. Right now, it’s not at the level of what I would call a crisis for us, but it’s the thing that most worries us about Brexit. The UK has its traditional draw. London is an exciting big city. It’s full of international people, the universities are great. I talked to two new employees today, one Belgian and one Spanish. They are young people and they’d just left university and come here seeking opportunity. Right now, that draw continues to exist. But we’re worried. On a long-term basis, the access to talent is the most important thing and it’s the thing that Brexit threatens the most. From a regulatory perspective, we are pursuing becoming regulated in the Netherlands so that we have a continental base. We’re assuming that we’re going to need that. That has a huge cost. It’s something that we have to do but it’s a cost that we have to bear. To the extent that it’s necessary to have employees there, well, we’ll have employs there. Q. How are you regulated? Does it vary by jurisdiction? A. Ah, regulation! Going over where we’ve invested in the last two to three years, a massive amount of our investment has been in compliance staff, regulation, and the technology that goes behind it. Right now, we’re regulated by the FCA (the UK Financial Conduct Authority). It used to be called the Financial Services Authority and was called something else before that. Under current European rules, we are effectively passported into the rest of Europe. We’re now in the process of getting regulated by the Dutch regulator. That will be done by the time it’s required by Brexit. In the U.S., regulatory authority is with the states, and we currently have 40 states. All of the other states have been applied for, so we should have all but maybe one or two by the end of this year. We’re regulated in Canada by FINTRAC, which is the Canadian regulatory authority and we will be regulated in Singapore by the end of this year. Q. Did the complexity of 50-state regulation delay your entry into the U.S. market? A. There are ways to work without that. There’s an agency banking relationship that you can work with, and that will persist even after we have our state regulation. But in terms of consumer protection and in terms of flexibility and in terms of business model, you really want to work under direct regulation. But it’s complex. All the states are different. I had to be fingerprinted 50 different times but using the same form and the forms all go to the same guy in the FBI office. They ask for financial disclosures, which is fine, but the states all ask for those disclosures differently. There’s a tremendous amount of inefficiency involved in doing something 50 times instead of just once. And remember that the 50 states all have different reporting requirements. The states are interested in protecting their consumers – we respect that; that’s a fine thing. It’s just that when each state has a different way for us to report to them that increases our infrastructure and the costs we have to bear. It’s an inhibitor to innovation just because to get off the ground and build a really robust business you want to be directly regulated in as many states as possible but that’s just a hard, hard slog. Q. What are your plans now for the U.S. market? You’ve recently sent a co-founder to New York to lead your efforts here, so you must be thinking big. A. We think the U.S. is a tremendous opportunity. The flows are massive, but it’s very expensive and they go almost exclusively through banks. The U.S. is the largest cross-border market in the world and incredibly diverse. Also, irrespective of what we read, the U.S. economy is going to remain integrated into global supply chains, both on the import and the export side. As opposed to Europe, where – if we go back to the pre-euro days – cross-border payments were part of everyone’s mindset and part of how every business worked, in the U.S., this way of thinking is much less developed. So low-cost solutions for our potential clients are just less available in the U.S. Large banks and PayPal will charge hundreds of basis points for this service where we’ll charge under a hundred basis points. There are a bunch of steps. You have to get regulated. The U.S. is a less mature market, so it requires different types of sales approaches. Because of the way banks and regulators are structured, you also need a different contractual approach. Though our product is the same, we’ve now spent a little time getting different infrastructure around it. But I would think that in less than three years the U.S. market will be the same size as the rest of the business. Q. Are cryptocurrencies and blockchain the future of international money transfers and payments? A. It’s very interesting. At Money 20/20 in Amsterdam this time, the blockchain and crypto guys were silent. Two years ago, you couldn’t talk without someone telling you you’d be dead soon. It’s two years later and we’re still not dead. There are a couple of things to say. Let’s deal with crypto, first. The problems in banking and payments are cost, speed, and compliance. I quite frankly don’t solve any of those with cryptocurrency. Right now, the people who do crypto transfers are more expensive than what we can achieve without crypto currencies. Also, speed is determined by the first mile and the last mile. If we all lived in a world where everyone was a bitcoin user and we were transferring from one wallet to another, it would be fine. But, that’s not the case. The case is that you have to covert from USD to BTC then from BTC to pounds. By the time you do that and then you convert at the other end it’s actually slower and more expensive. This is not to say that crypto doesn’t have many other uses. But crypto as an international payment mechanism while interesting, certainly doesn’t solve the problems any better than we can without it. Also, the constraint in timing issue is always around compliance and compliance is around identity, and that persists irrespective of the use of cryptocurrency. Blockchain is more interesting in the sense of distributed ledger technology. Right now, there isn’t massive global adoption of any single production system. It’s certainly conceivable, if you look at the problem of 24/7 banking on a global basis where all the information has to be real time and up-to-date, that you could have a closed system, developed on top of blockchain, that would solve that problem. Right now, that’s not there. We see plenty of interesting experiments with blockchain. But for the most part, they are optimized for security and sub-optimized for throughput. That’s going to lend itself to some applications but not lend itself to others. As blockchain-based solutions that solve some of our problems come up in the world we’ll deploy them. But until then, we’ll have to watch. Q. Your investors are based in Boston, London, Paris, the San Francisco Bay Area, and Tokyo. Is this geographic diversity deliberate? What does it bring you? A. We’re a global company. By nature, the cross-currency business means that our customers come from all over the world and they are dispersing payments all over the world. Though our startup investors where pretty much UK (and Boston), we then added SAP, which is a continental investor, Google, which is a California investor, and Rakuten, which is a Japanese investor. It gives us a global perspective at the board level and going forward, where we to raise more money, I would really look at other parts of Asia. I think the cashflows moving back and forth to Asia and the need to understand the markets are really important, and the links a good investor can bring to help you do that are quite important. So the answer is that it was really quite deliberate to structure it in that fashion and I would keep doing it. I’ve built businesses on Silicon Valley before that were global. In building a global business I’ve found it really valuable to have a global set of people behind you who understand the issues you have in taking your business model from one country to the next, which has costs and upsides that are very different than staying in a single place. Q. You most recently raised €5.7M in December of last year. Why debt? A. We have a whole series of capital uses that are not investment level. As part of the fact I’m regulated by all those different regulators mean I have to keep a certain amount of regulatory capital and, quite frankly, that is capital that is not deployed or earning money for my investors. Investors don’t like to hear that I’m going to take $10 million from them and keep it in the bank. A good portion of this — and we’ve increased this a couple of times as the company gets bigger and our regulatory requirements get larger — has been financed through debt. Some goes to working capital, but the real driver is the fact I always have to have a residual amount of regulatory capital that I can’t go below for compliance and regulatory reasons. Once that number became substantial enough, there was a better way to provide for that than raising equity from my investors. Q. You’re now enabling bulk payments and payment reconciliation. Is this going to put you into competition with e-invoicing or procure-to-pay companies? A. No. We only do the payment part. Those firms do a whole series of things with the management of supply chains. If you think of a consumer payment, you send $100 to your mom in China. You send it through Azimo or TransferWise or whomever you happen to use, and mom sends you a WhatsApp when she’s got the money. Straightforward. But in a business payment, the business may only do a payment run once a month, in which case they need to do a bulk upload of 10, 20, 100, 1,000 payments, each of which may be in different currencies, destined for different places, and possibly drawing on different bank accounts. The bulk upload provides people inside the payables department with a way to work the way they want to work. So I don’t compete the supply chain management firms, in fact we’ve talked with many firms who actually want to add payments to their functionality. We’ve had a whole series of discussions about how you integrate the payment side. Q. Tell me about your new Global Collections product, through which businesses can generate IBANs and VANs. A. Let’s take it from the U.S. perspective. I’m in the U.S. and I need to pay an overseas supplier. (Let’s say I’m importing bicycle parts.) I receive the bicycle parts from Thailand and I owe $10,000. Pretty straight forward — it’s a payment. But what if I’m exporting bicycle parts? I’m making them in the U.S. and sending them to Thailand. I then need to collect $10,000 from the business I’m sending it to in Thailand. On the surface, you’d think it’s the same thing and we’ll just run it backwards. I wish that were the case! The banking, regulatory, and compliance requirements around collecting money are quite different than those around paying money. The infrastructure has to be set up, the ability of the customer to manage it has to be set up. In both cases, my client — the Currencycloud client — would be the company in the U.S., but I have a different relationship with the company in Thailand. What the collections product does is automate that receipt of funds for the export market, or the receivables function on a cross-border basis. To do that, you’re required to provide what is basically a virtual account for all of my customers and their customers in each of those countries. So right now, I have the ability to have thousands of virtual accounts in the U.S., in Europe, and in the UK where my customers’ collection clients can pay in. It’s a whole other world. I wish it were as simple as running payments backwards, but it’s not. Q. What other new products or enhancements can we look forward to? A. The major emphasis in simplifying cross border payments right now is on automation of onboarding and know your customer. Luckily for us, there’s a lot of innovation in RegTech going on that automates this. Nothing irritates me more than when I see our compliance people ask a customer for a utility bill. The big service innovation is going to be in the user experience as it comes to onboarding and KYC. Q. What are the biggest challenges to growth for a firm at your stage of development? A. We’ve expended a lot of effort here on values and culture, on what kind of company we are and how people relate to one another. A lot of our value to the client and a lot of the intelligence we put into the product comes from what we try to think of as an open, diverse culture and we’ve worked hard on that. This year we’ll end up at close to 200 employees. I think we have the typical problem of a growing company — we need to figure out a way to maintain the values and culture we have as a startup but then overlay the kinds of processes that you need as a larger company. When you’re really tiny, all those processes are a burden; when you’re bigger, you need them or you won’t be effective. It’s that transition that we’re going through right now. It’s not any different for any startup that suddenly is going to have revenue in the tens of millions of dollars and hundreds of employees. And we are going to have them in the Netherlands and Singapore and London and Ukraine and New York and maybe another place in the U.S.
Q. How are you thinking about the competing goals of more rapid growth and profitability? A. Eventually, you have to prove that the business can be profitable. If the business is worthwhile, it should eventually be able to achieve very, very attractive operating margins. You need to look at your revenue, your gross margins, your expenses, your customer acquisition costs so you can convince yourselves, your investors (as you need more money), your bankers, and your partners that you’re a long-term viable company. If you can’t be profitable long term, you’re just not going to attract the investors and the employees that you need. In the short term, while there is massive opportunity, you might not want to be profitable, because you are giving up opportunity in pursuit of profitability. But you can’t ever lose sight of the fact that the business has got to work. I was part of the early 2000s internet bust when lots of unprofitable venture-backed companies sold things to each other and convinced themselves that they had a market. You need to have a really solid handle on how your business scales and how it becomes profitable. Right now, you don’t want to give up the growth opportunity, but you’ve got to have your eye on how ultimately that’s going to work out. Q. How many languages are you working in? How do you manage it? A. That’s been the story of my life! The two people I mentioned that we just hired speak French and Spanish. In Europe, we have to be able to service people in their own languages, though sales is often done in English. We now have Mandarin speakers, as well, on the sales side. Service presents both a language issue and a time zone issue. As we get a larger Californian or Asian client base, we need to be available for them during their business hours and not by having someone up at 2:00 in the morning in London. That’s one of the growth imperatives. We’re a global business, we’re now going to have global staff, we’ll have global clients, and we need to service them. We can employ people with different language skills. Those people are available, and they want to work in this kind of company. Getting them in the right place at the right time is more of a challenge. Q. Are you concerned that recent, misguided steps toward a protectionism and away from globalization will slow demand for your services? A. No. You hear a lot of discussion about global supply chains. Those are so entrenched that the things we’re talking about are around the edges. Now, I’m concerned that we get a global macroeconomic slowdown. I think that would hurt us. That could be Brexit; that could be trade wars. We’re going to be sensitive to the global macro climate. There may be some movement in response to tariff changes. Life may become more expensive. But if business isn’t done in China it can be done in Mexico or Vietnam. Things may switch around, but global supply chains are here to stay. They’re too ingrained. Trade wars are worrying for lots of reasons: currency deflation, the Harley Davidson situation, loss of jobs. People may need to relocate manufacturing to other countries. There will also be unintended consequences. Q. If you could only attend one Fintech conference next year, which one would it be? A. I’d have to go to Money 20/20. A. That’s a good question. The one in Amsterdam was really excellent. They moved it into a facility that was generous in terms of size. It was not as large as the Las Vegas conference, of course, so it was sort of graspable. Las Vega is very, very large. I’d keep going to Money 20/20. Between Las Vegas and Amsterdam, I’m not sure. A. Yes, we are. If you’re interested, go to https://www.currencycloud.com/company/careers/jobs/. This entry was posted in FinTech and tagged Brexit, FX, London by jim. Bookmark the permalink.